Some devices that are marketed and validated for single use are now being used multiple times in clinical settings. To save money and to comply with green initiatives, hospitals are moving towards using third-party reprocessed single-use devices (SUDs). However, reusing devices intended for single use can be dangerous without the correct validations and instructions for reprocessing in place. Post-market validations need to occur to reuse devices intended for single use. Since there are no reprocessing instructions for use (IFU) for SUDs, cleaning and sterilization processes must be developed and validated to ensure patient safety. FDA and other regulatory bodies have some guidance documents and are creating more to make sure SUDs can be appropriately cleaned, disinfected, sterilized, and tested for functionality. A test plan, justification, and acceptance criteria should be written to conform to regulatory trends. FDA is hosting a public workshop, Refurbishing, Reconditioning, Rebuilding, Remarketing, Remanufacturing, and Servicing of Medical Devices Performed by Third-Party Entities and Original Equipment Manufacturers, in October and has started a draft document to help regulate and provide guidance to this industry. 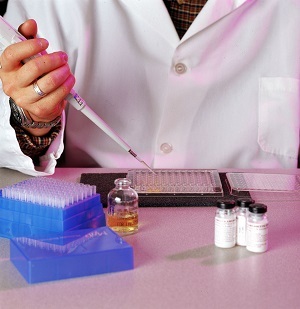 Training program development or review; which includes reprocessing techniques, EM sampling, etc. Third-party reprocessing offers healthcare providers a way to maintain the highest quality patient care, while also achieving significant cost-savings and reducing medical waste. This is only possible if all regulatory requirements are fulfilled and the devices are reprocessed for safely for subsequent patient use. This savings has been reported to be millions of dollars in supply costs and millions of pounds of waste diverted from landfills. US FDA recommends using the guidance from Medical Device User Fee and Modernization Act of 2002, Enforcement Priorities for Single-Use Devices Reprocessed by Third Parties and Hospitals, and Labeling Recommendations for Single-Use Devices Reprocessed by Third Parties and Hospitals; Final Guidance for Industry and FDA. Medical Device and Diagnostic Industry published Reprocessing Single-Use Devices: Why Does the Debate Continue? The Association of Medical Device Reprocessors (AMDR) website has a lot of information such as Regulatory Position Statements and Letters and International Regulations. Health Canada published an update in 2015 on Reprocessing of Single-Use Medical Devices which includes the policies and practices appropriate for each Canadian jurisdiction. Validated cleaning, disinfection, and sterilization processes combined with validated functionality testing can ensure patient safety when reusing single-use medical devices.